The rent at Yacht Harbor Club Apartments ranges from $1,570 for a one bedroom to a $2,910 two bedroom. Apartments in this building are about 36% more expensive than the Portland average. This is a pet-friendly apartment. This apartment is in Portland. Nearby parks include Lotus Isle City Park, Columbia Children's Aboretum and Rob Strasser Memorial Field. Yacht Harbor Club Apartments has a Walk Score of 12 out of 100. This location is a Car-Dependent neighborhood so almost all errands require a car. Your backyard just got a lot bigger. Yacht Harbor Club offers riverfront living at its finest and is just minutes from Downtown Portland and Vancouver. Our community is located directly on the Columbia River and features its own private beach and marina access. Our selection of luxurious one or two bedroom apartments all provide gourmet kitchens, stainless appliances, quartz counters, A/C, exquisite river/mountain views and all homes showcase decks or patios with gas hook-ups. Relax! You’re on river time. Have a concierge at your service, stretch out in our weekly yoga classes, socialize with friends at happy hour, take in the sunsets on the private beach, adventure out on our community kayaks and paddleboards, or relax in the year-round heated spa overlooking the marina. The best way to experience the uniqueness of the apartments at Yacht Harbor Club is to see them for yourself. Call today to schedule a visit. Explore how far you can travel by car, bus, bike and foot from Yacht Harbor Club Apartments. Yacht Harbor Club Apartments has some transit which means a few nearby public transportation options. Car sharing is available from RelayRides. View all Portland apartments on a map. 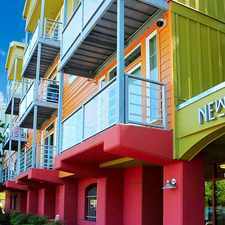 Yacht Harbor Club Apartments is in the city of Portland, OR. Portland has an average Walk Score of 65 and has 583,776 residents.